We hand pick each stone that goes into making this unique statement piece and make sure that the final result is a harmonious but surprising mix! The clasp is made of sterling silver and the surprise element is the army ball chain that adds a little toughness to this otherwise classic look. 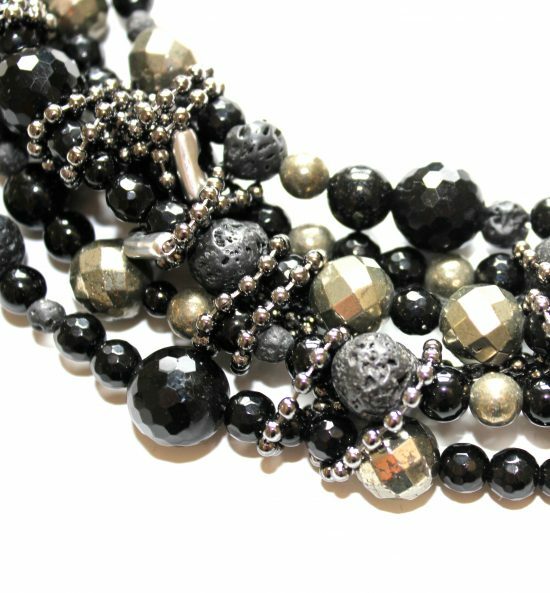 More is cooler – well, ok not always…but, when we are mixing together tons of onyx, lava stone and black agate – it just works sooo well together! 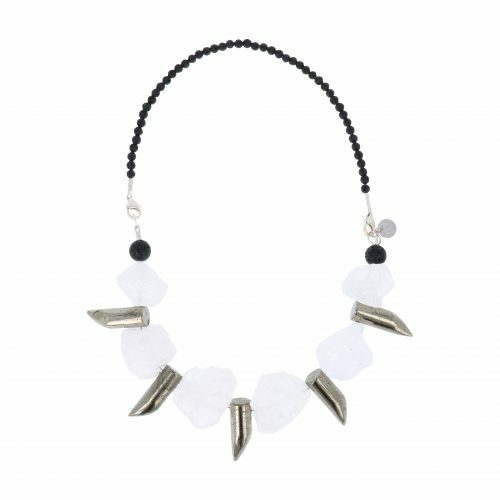 This is the one necklace that can be worn on formal event as well as with a simple white T-shirt and jeans! 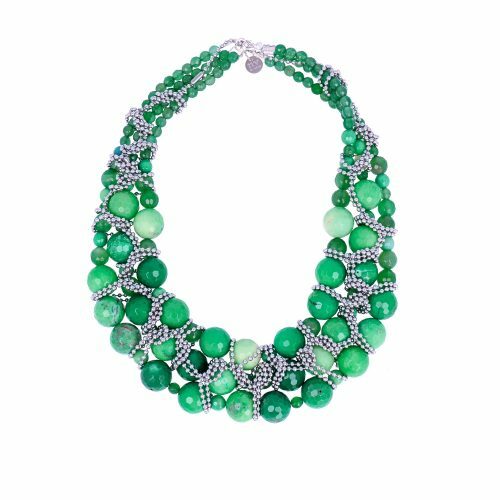 Amazing abundance around Your neck! 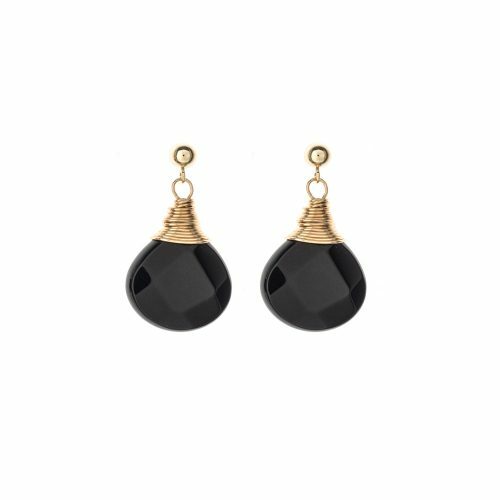 Onyx is a crystal of inner strength, focused attention, willpower, self-mastery, discipline and reason. Agate balances yin/yang energy, enhances courage, protection, healing, and calming. Historically it was placed in water for cooking or drinking to dispel sickness. … Agate is a stone of strength. All our jewellery comes gift wrapped in our signature black box.